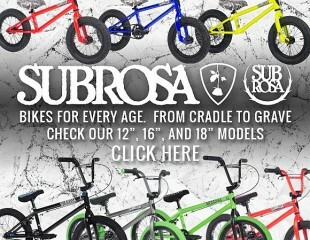 NEW SUBROSA STREET RAILS ARE IN STOCK NOW & READY TO SHRED!! 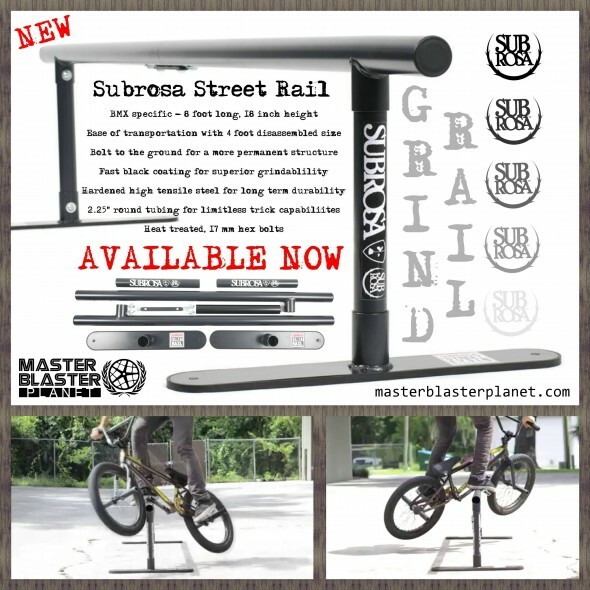 NEW Subrosa grind rails are in stock now! 8 ft long, heavy duty, specifically designed for BMX, and easily assembled and disassembled. 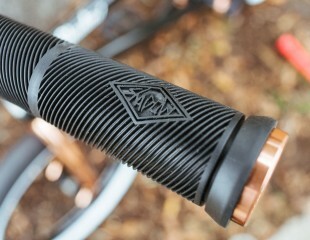 Click HERE for more photos, complete spec info, and to order your own Subrosa Street Rail now! Click HERE to view a video of this rail in action! Immediately turn your driveway, backyard, or a parking lot into a fun session whether you are a beginner or a rail assassin. This fully collapsible, fully portable, and fully shredable rail is great to learn and master any type of rail trick that today’s rider can dream up. Featuring super thick feet, a middle insert with brace, and slick coating, keeps this rail holding strong and sliding like a dream session after session. The Subrosa Street Rail is also easily portable! It breaks down into 4ft sections, to fit into most trucks and cars, making it easy for you to always have something to ride no matter the circumstances. Bring it anywhere for an instant session! BMX specific, NOT just another skate rail! Perfect 8 foot long, 18 inch height for beginners and pros to learn and try new moves. Ease of transportation with 4 foot disassembled size. Bolt to the ground for a more permanent structure using the pre drilled holes. 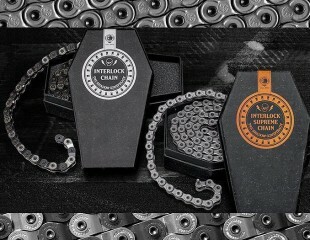 Fast black coating for superior grinding. Hardened high tensile steel for long term durability. 2.25″ round tubing for limitless trick capabilities. Heat treated, 17 mm hex bolts for ease of assembly. 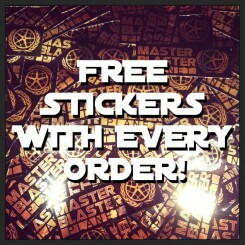 Get yours now before they’re gone! 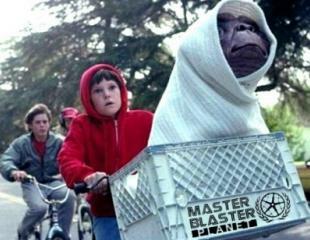 « Team rider Bill Nitschke and the Wonder Wheels BMX team is headed back to school!